Cycle around France with Morzine as your final destination! 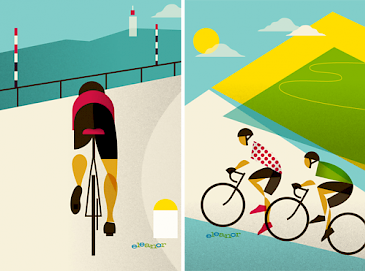 A geography which creates a perfect cycling landscape for keen British cyclists every year. From Northern France with miles of high-speed stretches to ‘Vineyard Country’ which provides sights that will distract even the most focussed cyclists due to it’s natural beauty. Each year France offers thousands of British bike enthusiasts a release in the summer months, and it’s never been a better time to ride around the incredible country. From exploring the quietest of French lanes, to taking on gruelling famous stages that have decided winners of Le Tour de France since the competition started in 1903. The variety of riding that France offers as a cycling destination is phenomenal. The Alps has become the mecca for cyclists challenging themselves with steep climbs and fast descents. Due to these reasons many cycle tours end their trips with the Alps Morzine is the perfect destination to host the final challenge! Morzine this year hosts as the end destination for the incredible Tour de France with the second to last stage climbing from Morgin to Morzine, before the final parade into Paris. If you are planning a holiday or cycle tour, then come and experience this historic competition or take on some of the most famous routes on the planet. Chalet Chambertin is the perfect place if you want to relax for a week whilst the tour is happening, with numerous other activities available if you don’t just want to cycle or spectate. Alternatively house yourself at L’Aubergade Hotel in the centre of town with a lively bar and events scene. The hotel has great access to Morzine town and the surrounding cycling routes – and hosts as the perfect location for a family holiday or keen cyclist tour. Emain us on thechalet@mountainmavericks.com or contact@laubergade.com for availability and prices. Previous: Easter with the Mini Mavericks in Morzine!